Avraham Cohen, Ph.D., R.C.C., C.C.C. Dr. Cohen is a Vancouver-based counsellor and psychotherapist. He is a member of the BC Association of Clinical Counsellors (BCACC) with the designation Registered Clinical Counsellor (RCC) and the Canadian Counselling and Psychotherapy Association (CCPA) with the designation Canadian Certified Counsellor (CCC). He holds a Master of Arts in in counselling from Gonzaga University and a PhD in education from the University of British Columbia. His PhD research addressed bringing the psychological and human dimension into the foreground in educational environments. He has been in the field for almost 50 years and has conducted a private practice since 1987. Dr. Cohen is the author of the book “Becoming fully human within educational environments” and co-author of the books “Speaking of learning: Recollections, revelations and realizations”(2014), “Speaking of teaching: Inclinations, Inspirations, Innerworkings” (2012). Dr. Cohen offers work in a spectrum of larger institutional and corporate projects as well as with individuals and couples. Dr. Avraham Cohen also works with a trusted network of counsellors, psychotherapists, coaches, and organizational advisors. For a selection of Dr. Cohen’s co-authored articles and book chapters, please click the link below, scroll around (there are five pages to this webpage), find pieces you wish to read and download them as PDF. http://summit.sfu.ca/collection/204 Dr. Cohen frequently works with his wife, Dr. Heesoon Bai. She is professor in the Faculty of Education at Simon Fraser University in British Columbia. Along with her doctorate (UBC, 1996), she has completed the requirements for membership in the BC Association of Clinical Counsellors and has received the designation, registered clinical counsellor (RCC). Together they give public talks, workshop presentations, provide organizational consultation and training, and have published many articles, book chapters, and books. In accord with the principle that we teach (lead, work, create, live, etc.) 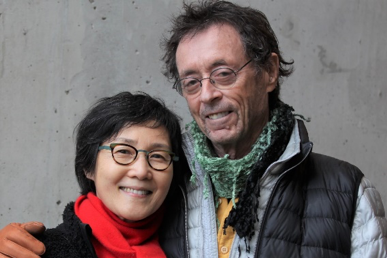 who we are, Avraham and Heesoon have been working on becoming increasingly authentic and collaborative in finely attuned ways so as to render their relational manner of being itself to become central to their teaching. They believe that modeling is one of the most powerful and enduring ways of influencing and leading. They love to create relational fields that can have a positive influence within various contexts where human relationships are central.